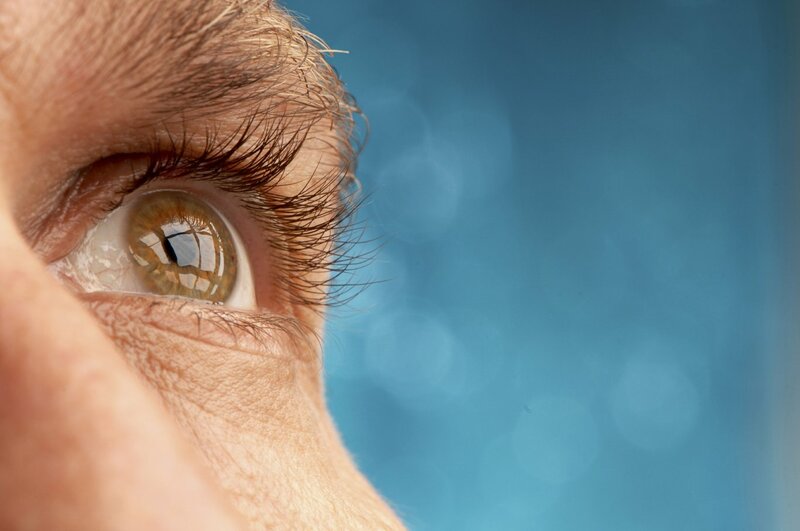 Are Stem Cells the Future of Cataract Treatment? Researchers from China and the University of California San Diego have developed a procedure in which a patient’s own stem cells are used to regenerate the lens of the eye. This technique has successfully been performed on 12 infants born with congenital cataracts, but has not yet been used on patients with age-related or genetic cataracts. However, the success of this less invasive alternative to cataract surgery in infants shows promise for the millions of men and women who develop them every year. There is no cure for cataracts. Current treatment requires the eye’s natural lens be removed and replaced with an IOL and, while there have been significant advancement in artificial lenses over the past several years, there are still a number of issues that can arise from their placement. This new treatment does not rely on IOLs to replace the lens of the eye, but rather uses stem cells to regenerate the lens after its removal. Because the stem cells come from the patient’s own body, complete regeneration is possible with this method and, along with it, a full restoration of eyesight. It is important to remember that, despite its initial success, this treatment may not be as effective in adults as it has been in children. 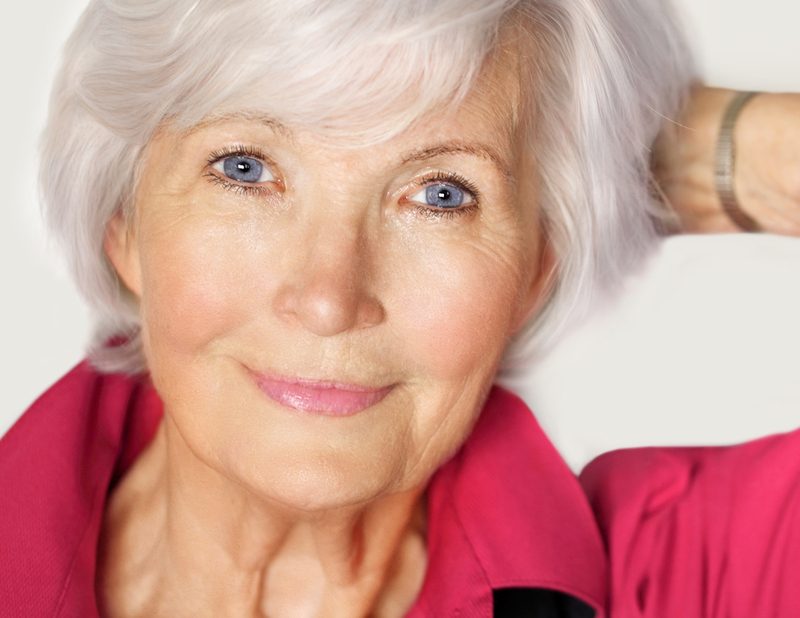 More research is needed on older eyes with a slower rate of cell division. Nonetheless, researchers are hopeful that this treatment will prove effective on all types of cataracts and have suggested it may be available for adult patients within the next five years. Until alternative treatments are available, lens replacement surgery remains the only way to preserve vision after the development of cataracts. The most commonly performed surgical procedure in the United States, lens replacement is a fast, safe, and effective way to prevent a complete loss of vision. If you are experiencing difficulties with your vision, please contact us to be put in touch with an experienced ophthalmologist in your area. Monocular diplopia, more often called “double-vision,” is a condition in which one eye sees two images where there is only one. This can be caused by various vision disorders, but is also a known LASIK complication. While uncommon, monocular diplopia may be the result of irregularities in the application of the excimer laser used in LASIK to reshape the cornea. It may also be a result of flap complications. For many patients, monocular diplopia self-corrects during the LASIK recovery period. Others may need to seek LASIK enhancement surgery to fully address the problem. The best way to determine which option is right for you is by using our ophthalmologist locator to be put in touch with an experienced LASIK surgeon in your area. 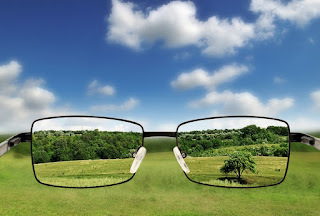 LASIK enhancement may be necessary for a variety of reasons – monocular diplopia among them. Other reasons you may wish to consider a second procedure include ghost vision, difficulties seeing at night, and more effective correcting of existing refractive errors. It is, however, important to remember that vision will continue to improve during your entire recovery period, making it best to discuss your progression with your ophthalmologist before rushing into a second procedure. Complications with LASIK are rare, made more so when you choose an experienced and board-certified eye surgeon for your procedure. If you are looking for a LASIK surgeon in your area, please contact us or use the link to your state at the bottom of this page for additional information. 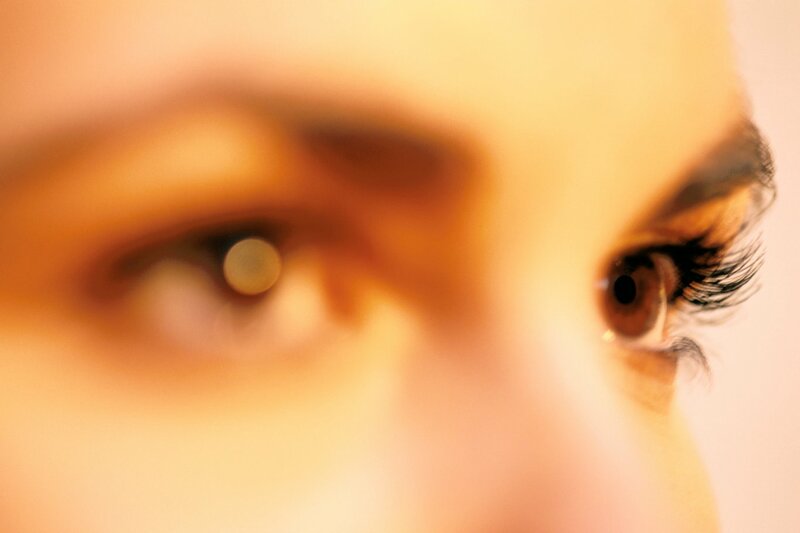 Conductive Keratoplasty (CK) is a noninvasive vision correction procedure. CK utilizes radio frequency to correct minor refractive errors including presbyopia and low hyperopia to help produce clear vision and provide freedom from prescription eyewear. The radio frequencies used for CK work to shrink connective tissue and steepen the cornea. This effect is accomplished without incisions or the removal of tissue, making it a better solution for people who wish to avoid the potential complications of LASIK or PRK. However, unlike those more advanced laser vision correction services, CK is not always permanent – though results can be sustained by repeating the procedure every few years. Following laser vision correction treatments such as LASIK, residual refractive errors may still exist. 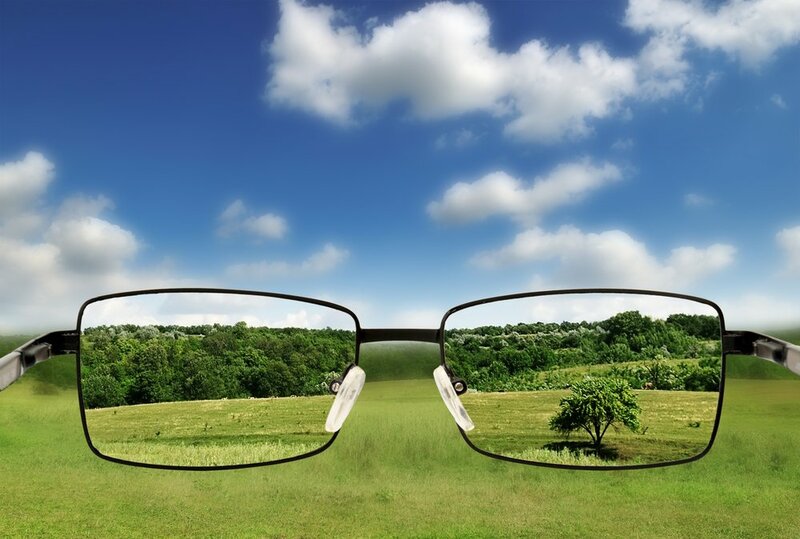 In these cases, CK can be used to enhance results and help ensure clearer vision. CK can also be used following cataract surgery for patients who have not achieved the level of vision correction they desire. CK is not intended for more pronounced or advanced refractive errors, but it can help provide freedom from reading glasses and is often an attractive option for patients over the age of 45 who only need eyewear for close-up work. The best way to determine if CK can help you reach your goals is by discussing your options with an experienced ophthalmologist. If you are looking for an experienced ophthalmologist, please use our eye doctor contact form to be put in touch with an eye care professional in your area. PRK (Photo-Refractive Keratectomy), is a type of laser vision correction that predates LASIK. However, coming before what has turned out to be the more popular of the two procedures does not make PRK any less effective. In fact, patient satisfaction and success rates between LASIK and PRK are very comparable. Like LASIK, PRK uses an excimer laser to precisely reshape the stroma layer of the cornea and correct various refractive errors. To access this layer during PRK, the epithelium is removed – a process that may lengthen the recovery period, but also eliminates risks of flap complications. In addition, PRK may reduce risks of comprised corneal thickness, making it available to patients who have been told they are not good LASIK candidates due to a thin epithelium. While PRK has a high rate of success, full vision correction may take several months. Some patients find driving to be troublesome for up to three weeks. Your ophthalmologist will be able to provide you with additional information on preparing for your recovery during your preoperative visits. Some postoperative discomfort including swelling and inflammation is to be expected following PRK. Your eye surgeon will prescribe antibiotics and other medications to help reduce these issues and speed the recovery process. Follow up visits will be necessary during your recovery period to help guard against problems and ensure proper healing. Recovery from PRK is slightly different for every patient. The best way to learn what you can expect and how to properly prepare is by working with an experienced ophthalmologist. If you are looking for a PRK surgeon, please use our contact form to be put in touch with an ophthalmologist in your area. If you are feeling limited by glasses or have grown tired of the daily upkeep required by contact lenses, perhaps the time has come to seriously consider laser vision correction surgery. With options such as LASIK, you can find freedom from the burdens of prescription eyewear and begin enjoying life without having to worry about where you left your glasses or whether or not you’ll have time to properly clean and store your contacts. Talking to an ophthalmologist in your area now allows you to start planning your procedure and gets you squarely on your way to the consistently clear vision you deserve. Advancements in LASIK technology now make this procedure available to a much wider range of people. Even if you have been told you are not a good candidate for LASIK in the past, these newer techniques may enable you to finally achieve complete freedom from glasses and contact lenses. The best way to learn if you are a good candidate for laser vision correction is by scheduling an initial consultation with an experienced ophthalmologist in your area. If you are interested in laser vision correction, please use our contact form to be put in touch with a local LASIK surgeon and learn how you can perfect your vision in 2016 and for years to come. Do you have an FSA or HSA? If so, your benefits are about to expire – taking with them any unused contributions you have made throughout the year. 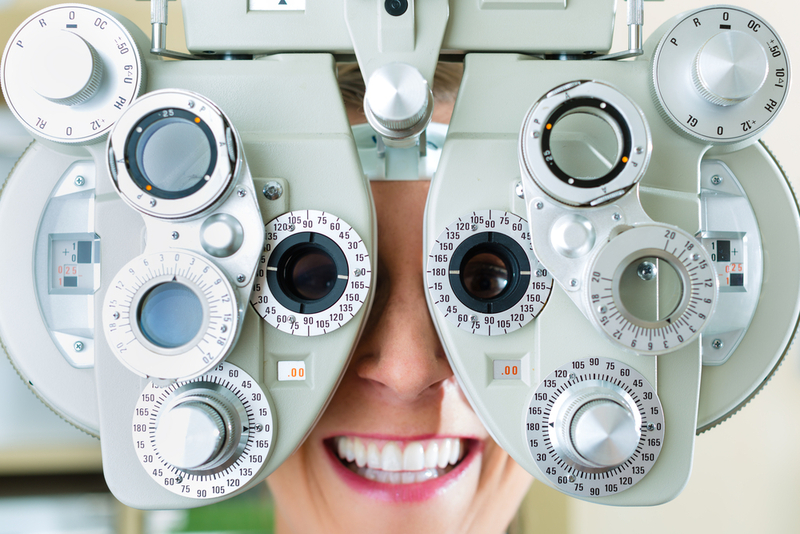 To prevent losing money you’ve saved for uncovered medical expenses, it may be time to schedule a routine eye exam. While many insurance companies cover the full cost of eye examinations, they may not pay for treatments that are necessary to protect your vision. Even if you are not currently experiencing any symptoms of a vision disorder, potential problems can be caught and treated early on through routine visits, making them an important part of your overall healthcare routine. In addition to uncovered surgical expenses, many FSAs and HSAs can be used to pay for LASIK. If you have been considering laser vision correction, now is the time to take action to ensure your pre-tax contributions are not wasted. If you don’t have an HSA or FSA, your LASIK surgeon may be able to offer you affordable financing options. The best way to understand all of your options is by contacting a laser vision correction surgeon in your area and scheduling a consultation today. To be put in touch with an experienced eye surgeon in your area, please use our online contact form or click on your state at the bottom of this screen. It is easy to believe that products which can be purchased over-the-counter or on the internet by anyone are safe for use by everyone. This belief, however, can be very dangerous when it comes to costume contact lenses. These risks are assumed by anyone who purchases costume contact lenses without the assistance of an eye care professional, but may be higher for those who do not wear contacts in the first place. Proper care, storage, and placement of contacts is essential for avoiding complications – and inexperienced users who purchase them for one night only do not often understand proper handling and insertion methods. With Halloween just around the corner, many people will be looking for ways to enhance their costumes. Please bear in mind that is never a good idea to purchase contact lenses without the assistance of an eye doctor. Nor is it wise to put your vision at risk of permanent damage for one evening of spooky fun. If you are looking for an eye doctor, please use our contact form to be put in touch with a trusted ophthalmologist in your area. Disclaimer: The content on our website and this page about LASIK surgery is for informational purposes only. To learn more about LASIK surgery in your area and situation, please contact a LASIK surgeon above or click here to let us find an eye doctor for you.